Sixteen people—including current Serie B/C and former Serie A players, including ex-Lazio captain Giuseppe Signori—were arrested today related to fishy results throughout Italy's leagues. We suppose this thing is a bit more common in Europe than it is here, but wow. 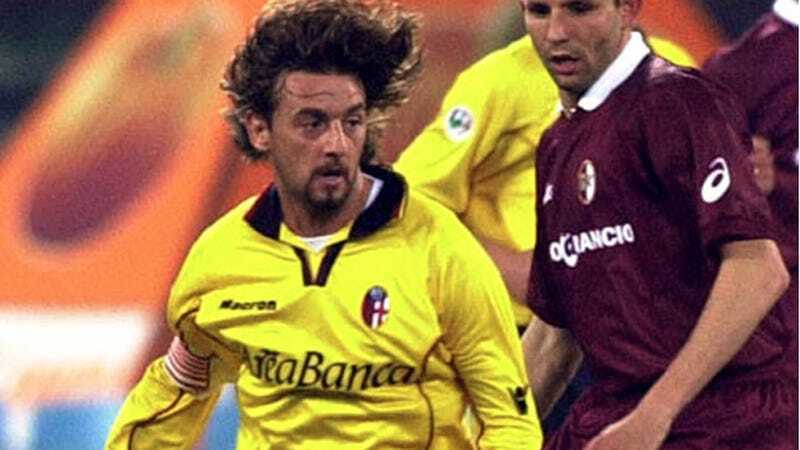 This is the biggest match-fixing scandal to hit Italian soccer since the last one, in 2006. The investigation began in November after a Cremonese-Paganese Serie C match—before which the Cremonese players' drinks were spiked. Cremonese won that match, 2-0, but "several players felt ill afterward," and one "was involved in an unexplainable car accident." Amongst those targeted were ex Serie A players and current players from both Serie B and Serie C as well as club directors from the lower leagues, all suspected of being part of an organisation that rigged games to fix bets. Eighteen matches are under investigation including this season's Serie A encounter between Inter Milan and Lecce. Matches involving Siena and Atalanta, who both earned promotion to Serie A, are also under the microscope. Atalanta's veteran captain Cristiano Doni has been named in the investigation but the club has made no comment on the affair. Doni is alleged to have collaborated with the organisation to ensure at least three goals were scored in his club's match against Piacenza on March 19, it ended 3-0 to Atalanta. So, yes, stay tuned for Bad Beats, the Piacenza edition.